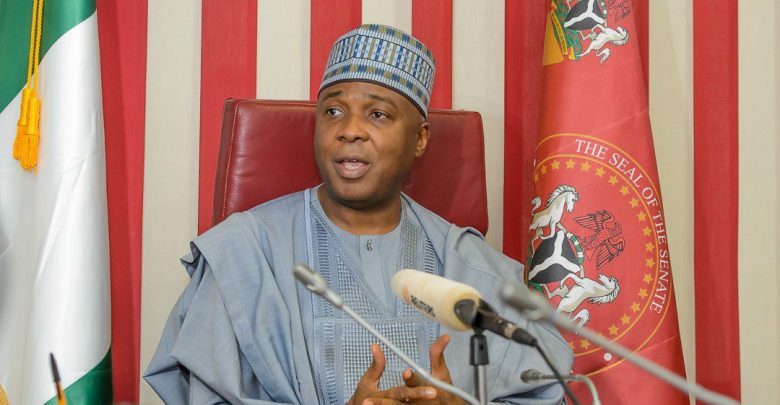 Senate President Bukola Saraki says he is not losing sleep over the plot by the ruling All Progressives Congress (APC) to impeach him in office. The APC has repeatedly called on the nation number three citizen to resign or be removed from office over his decision to join the opposition Peoples Democratic Party (PDP). However, speaking with journalists after meeting with the governor of Delta state, Ifeanyi Okowa, on Saturday, Saraki said those seeking to oust him are “engaging in cheap blackmail”. His words: “I am not losing any sleep about impeachment. We have a country that a lot of Nigerians believe there must be rule of law, those who are talking about impeachment are engaging in cheap blackmail and I am not concerned about that,” he said. “I made a four-page statement on why I left the APC and I made it very clear that the ideas and visions of what we expected was not realised in the areas of democracy, justice, etc. Saraki said Delta had witnessed economic growth under Okowa and hence commended the governor. The Senate President was accompanied by the senator representing Kogi West, Dino Melaye, and Senator Peter Nwaoboshi from Delta north.